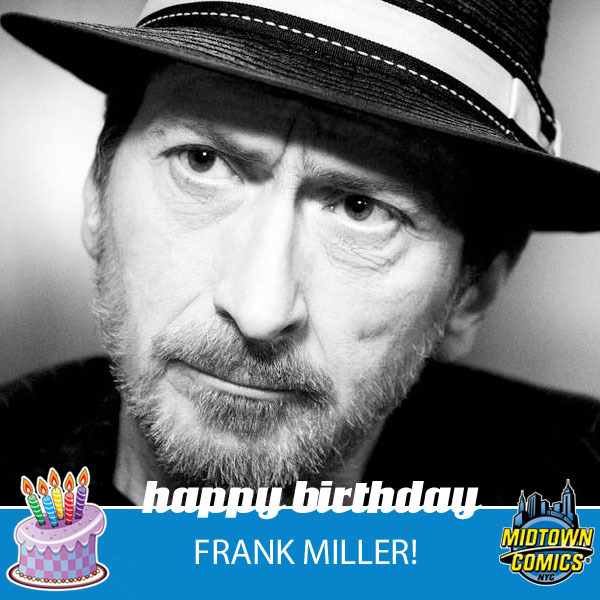 We’re celebrating the release of the companion to the smash hit 300 with writer/artist Frank Miller! Of course, it’s not a party without friends, so we are inviting you – yeah, YOU – to join us! 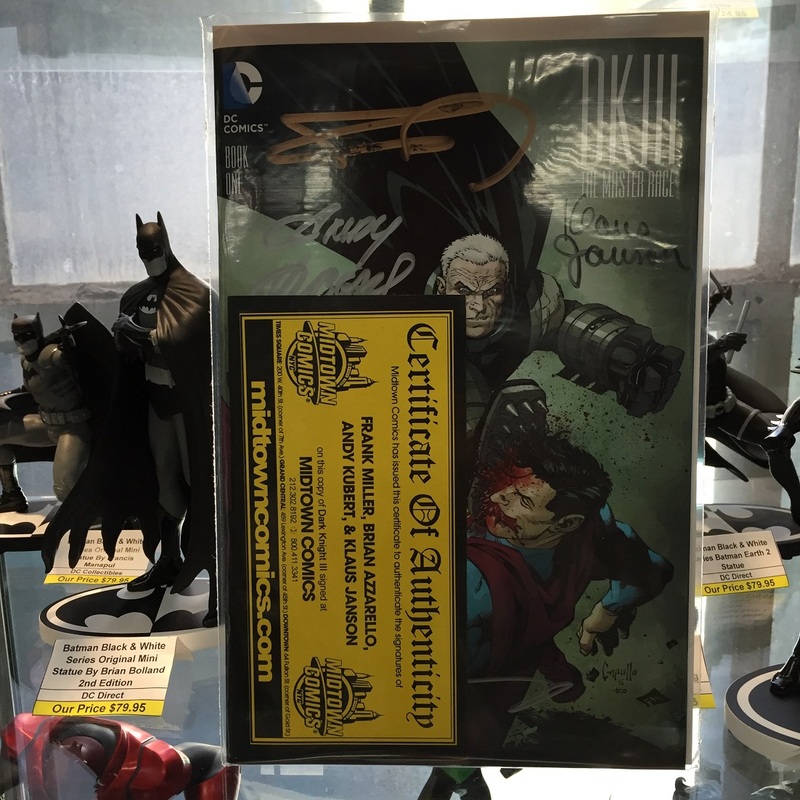 Just enter the ticket raffle below for your chance to win! 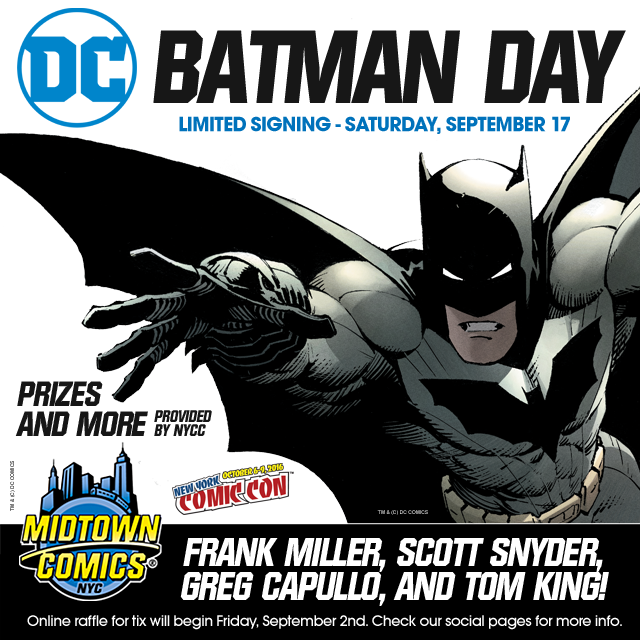 This year, Midtown Comics is celebrating Batman Day – which is Saturday, September 17th – the best way possible: an all-star signing! 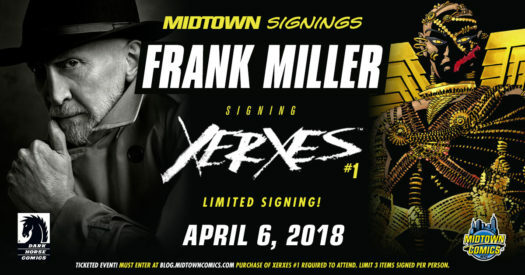 Brilliant Batman creators Frank Miller, Scott Snyder, Greg Capullo, AND Tom King will all be at one table on the big day, signing comics for some very lucky fans! Want to attend this epic event? All you need to do is enter the raffle below! Winners will be contacted via email on the 13th or 14th. Good luck, everyone! Don’t worry if you don’t win a ticket because we’re going to celebrate the Dark Knight a few other ways, too. Stay tuned! This isn’t a mudhole. This is an article praising Frank Miller’s work! 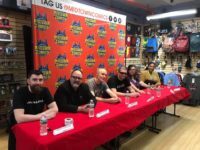 Today, the writer and artist turns 59 years-old, so to celebrate, we’re going to point you in the direction of some of his unforgettable and critically-acclaimed comics. From the Batman story everyone knows to his work with Marvel’s Wolverine, below are several of Miller’s iconic comics. If you’ve missed out on any of them, now is the time to fix that mistake! He’s become such a big name in the industry for a reason, after all!